MS Word Clippit: bad idea or poor implementation? Any application has a learning curve. Some applications are easy to grasp while others require time for their full potential to be discovered. It is very unlikely that user will be able to cover all existing application features right after starting to use it. Most applications are equipped with numerous not evident features, hot keys which usually turn out to be really useful in day-to-day work. 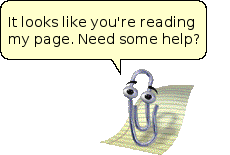 I recall MS Word and its Clippy assistant who helped (did it?) users to explore the application and its features. The program was branded as intrusive and annoying and was even criticized within Microsoft. But was the idea to provide users with valuable tips and information really so bad? Not sure. I personally like the idea and call it ‘learn as you go’ when users get relevant information at the moment they might be interested in it. We decided to implement the idea in Quote Roller and plan to introduce a Hint box with tips and tricks helping users to make the most of our estimating software. 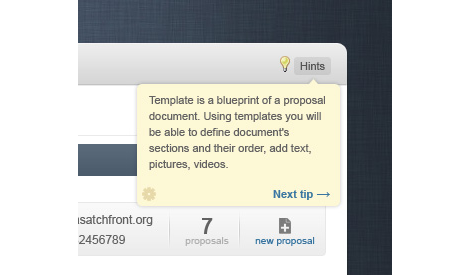 Advice is pertinent and unobtrusive, besides users can disable the Hint box in one click. Do you think ‘learn as you go’ way of exploring application is effective? Do you pay attention to tips&tricks? What is your way to learn application and its features?